Black & White Nails for the #31DC2016Weekly - Polish Etc. I hope you all are having a lovely weekend. I sure am! 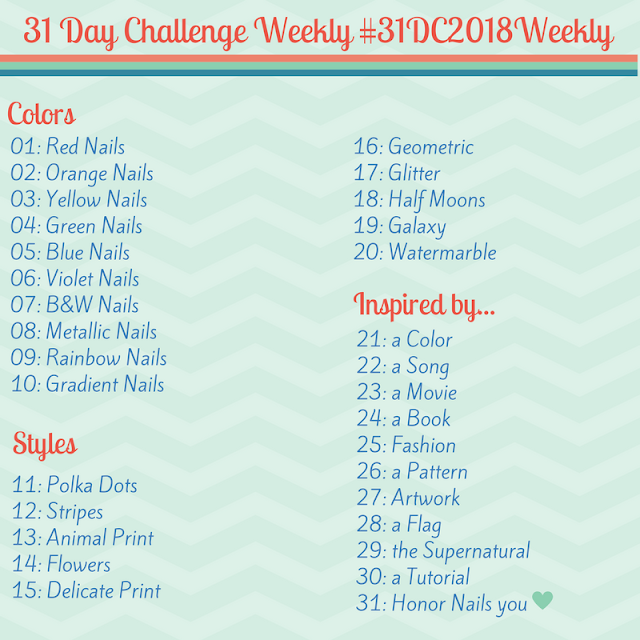 Today, for the Black & White prompt of the 31 Day Nail Art Challenge (which I am going weekly instead of daily), I have some stamping. But not your typical stamping. Today, we are stamping over textured polish. I have done this once before and was stunned that the images came out so crisp over just a rough surface. It's magic! For this mani, I did two coats of Zoya "Dahlia" which is a black textured polish with a little bit of silver sparkle. It is one of the original Pixie Dust formulas which Zoya isn't making anymore of but you can still find this on their website. Then I used Konad White Stamping Polish and UberChic Far East 01 plate and stamped right over the textured polish once it dried. No top coat was used at all. Look how crisp those white lines came out? You would think they would be jagged the bumpy surface but they look super clean. I really, REALLY liked how this turned out. 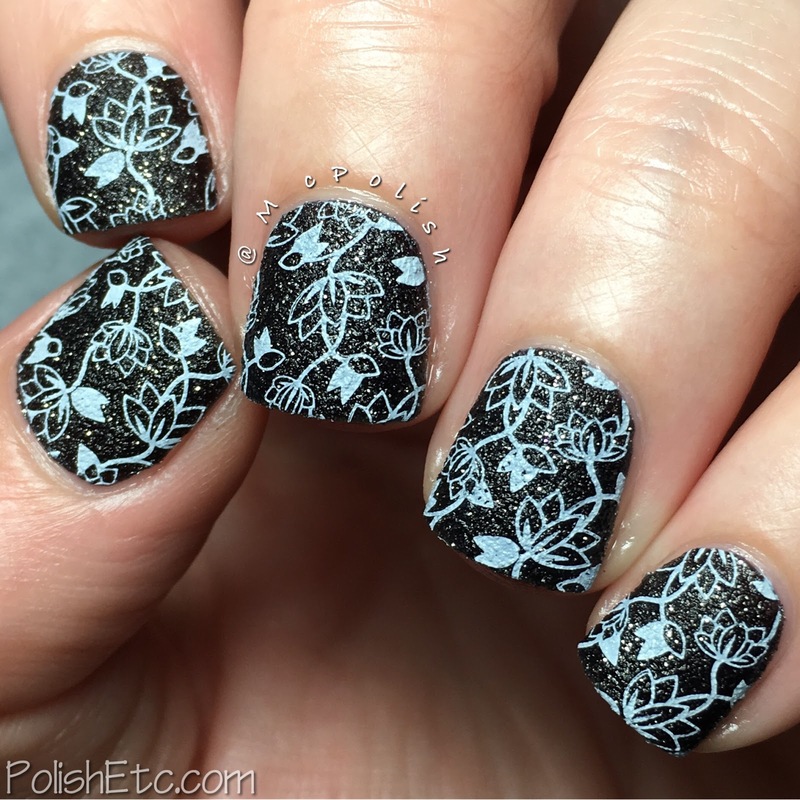 Have you ever done stamping over textured polishes before? It is not a new idea but I just hadn't been doing it a lot. I anticipate doing manicures like this more often. Be sure to check out the #31DC2016Weekly tag on your favorite social media platform: Instagram, Twitter and Facebook. You can jump in and join me on this nail art journey any time! Love these!! Perfect pairing of polishes - yes, magical. First time I tried stamping over textured didn't work, but 2nd time it was mostly good. Anyways, these are terrific! Keep doing it! I am sure it will get better every time. You are a stamping master now...you can do it!